Home » General » Can a biscuit be a trade mark? Can a biscuit be a trade mark? Do you only ever think of trade marks being words or pictures? Actually the possibilities are much, much wider. Essentially a trade mark is any “sign” capable of distinguishing your goods or services from those of any other trader. So, for instance, a trade mark can include a shape. With over 1 billion Kit Kats being sold every year, Nestlé has applied to register the 3D shape of its famous 4 fingered bar as a UK trade mark. Cadburys have opposed the registration and the question of whether the shape of the bar is a trade mark has escalated beyond the English High Court, with questions referred to the European Court of Justice (ECJ). Nestlé have argued that the 3D shape of the four fingered bar has acquired a distinctive character. If so, that distinctiveness would allow the shape to be registered as a trade mark, allowing an indefinite monopoly. But the Attorney General has published his opinion that it is not sufficient for the shape to be recognised and to be associated with Nestlé when other trademarks (such as the word mark “KIT KAT”) are also present. Rather, the shape alone must be capable of fulfilling the function of identifying the origin of the goods by itself. 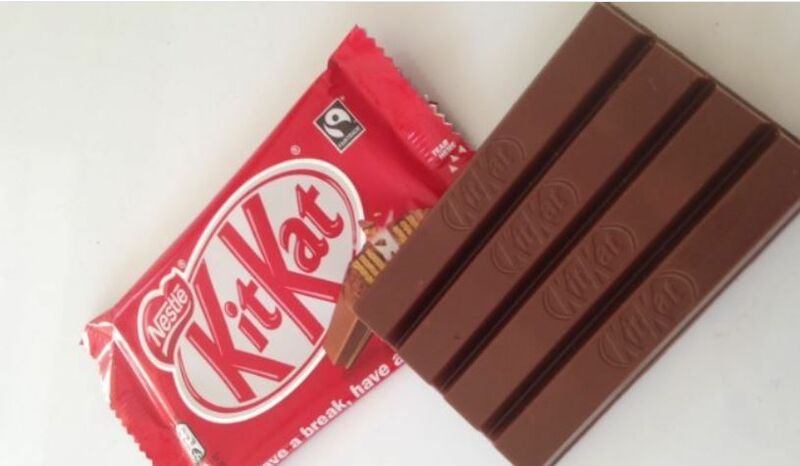 Whilst 90% of consumers surveyed recognised the bar, in real life the bar is hidden by the wrapper – and the wrapper bears the trade mark “KIT KAT” prominently. So would consumers really rely on the shape of the bar alone to identify the origin of the goods? There’s another issue being hotly argued here too; is the mark being registered merely a shape which comes from the goods themselves and/or a shape needed to obtain a technical result? If so, the application should be refused. The ability to “snap off” a finger of a Kit Kat is due to the grooves in the product. Are these grooves a “technical result”? And arguably the angle of the sides and grooves of the product and its slab-like rectangular form are due to its method of manufacture. The Attorney General considers that trade mark protection should not be given for either technical solutions or functional characteristics and that if at least one of these grounds is “fully applied” to the shape, then that would prevent registration. The matter is still with the ECJ, who do not need to follow the advice of the Attorney General (although they often do), but for now it looks as though the feature which is the most distinguishes a Kit Kat from other products – the ability to snap off a finger – could prevent the shape from being registered as a trade mark.